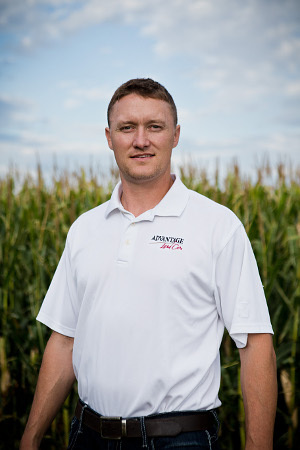 Jackson is currently a Land Broker, Auctioneer, and Farm Manager across South Dakota and Minnesota. He is the lead auctioneer and Broker for the Advantage Team which they are known for their Large Multi-Parcel Land Auction method with offering several thousand acres to the public at one time and many times resulting in large buyer attendance and multiple purchasers achieving max price for our clients. His experience in farm management has led him to improve several farms efficiency, yields, and acres into productivity through various farm projects. Jackson is a member of the American Society of Farm Managers and Rural Appraisers (ASFMRA) where he is working toward earning his accreditation in Farm Management (AFM). Being a regional land broker he not only has local knowledge of the markets but a wide spectrum of knowledge on different soil types, yields, rents, values, and active buyers across the entire region. As a graduate of Northern State University in Aberdeen, SD, Jackson has a Bachelor of Science degree in Finance and a Minor in Economics. Throughout his years at Northern, Jackson played for the NSU Wolves football team and was honored to be team captain his senior year. Jackson married his high school sweetheart, Barbara, and they now have two sons, Mason and Dawson. Jackson is an avid outdoor enthusiast and enjoys working with his dogs, hunting, farming, working cattle, and spending time around a campfire with friends and family. Jackson custom farms 230 acres of the family farm near Elkton with 90 of the acres sown to CRP grass and tree belts that he also manages for prime habitat for wildlife, soil quality, and erosion purposes. His experiences of growing up on a farm have built Jackson’s knowledge base and passion for agriculture and the outdoors that continue to grow more each day.